One of the messages to come out of The Olympics & The Paralympics was directed towards taking up one of the many sports so wonderfully demonstrated by all the athletes. Although angling was not one of the sports featured I am glad to be able to report that there has been a constant stream of people young and not so young coming along to Lochter Fishery Oldmeldrum for fly fishing lessons. Learning a new skill and getting out in the fresh air is truly therapeutic with of course the added bonus of taking home a couple of nice plump trout for your tea. George Pirie did exactly that keeping two and returning ten all on Small Dries. Nick Wood following the angling tradition in the family released eight on a mix of Dries and Lures while Neil Smith used Buzzers and Fabs to account for nine nice fish. Brian Reid used the new Pink Cormorant to tempt eight but Colin Anderson stuck with the more traditional Black Winges Cormorant to land seven Damsels and Semtex worked for Davy Wilson from Newmachar who netted eight. The same flies scored for Sandy Gray with nine to his name. 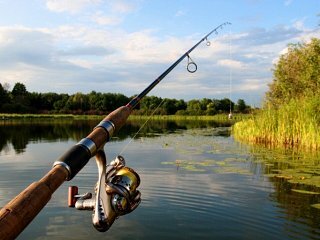 The water is cooling down after the hot spell which is good news for anglers.